Posted May 1, 2017 by La Lune Collection & filed under About La Lune Collection, Interior Design, Rustic Beds, Rustic Furniture, Rustic Seating. At La Lune Collection we like to do everything by hand – “old school” – and creating beautiful new furniture designs is no different. 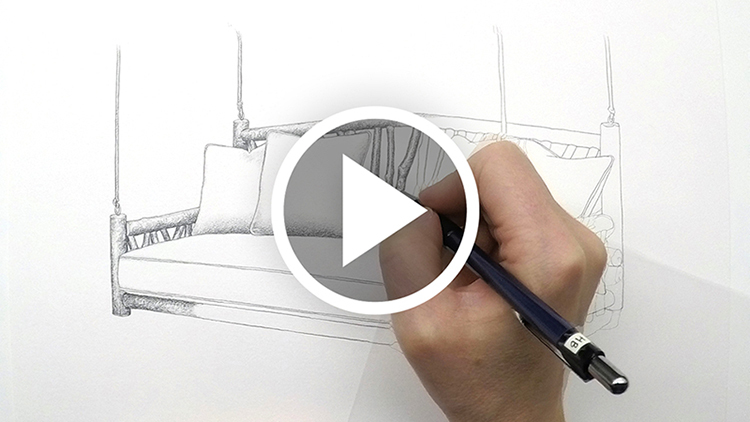 It all begins with a drawing, just as it did with our newest addition, the Hanging Daybed #4519. Watch this short video and see how La Lune Collection artist Jen takes this beautiful new piece from idea to reality!